In 2009 Americans bought enough guns in the first 3 months of the year to outfit the entire Chinese and Indian armies combined. Due to unprecedented demand in firearms since the November election, Barack Obama was awarded the “Gun Salesman of the Year” by Outdoor Wire earlier that year. In 2011 a record number of guns were sold in the United States for Christmas. And, over 1.5 million background checks on customers were requested by gun dealers to the National Instant Criminal Background Check System in December. It was the highest number ever in a single month. 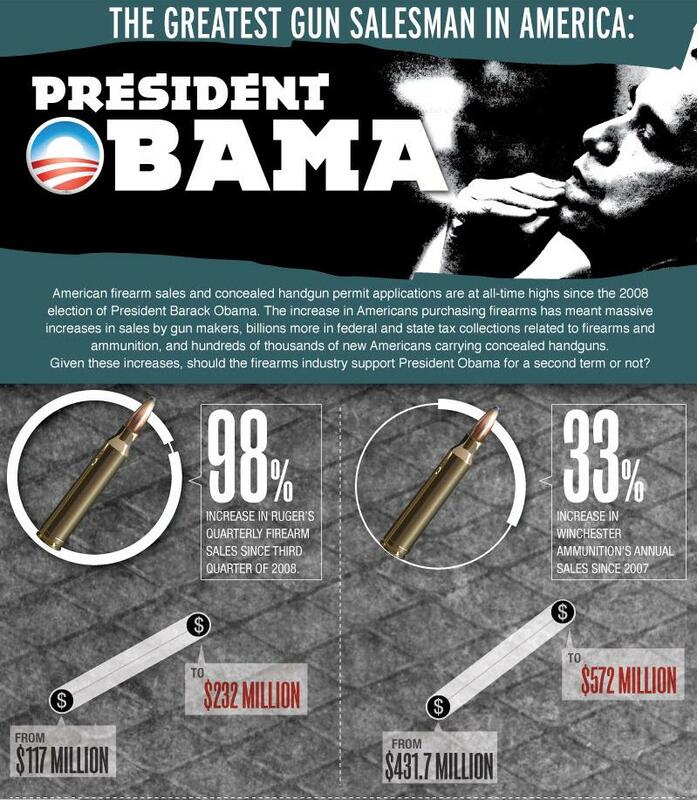 Gun manufacturers score another record year thanks to Barack Obama.